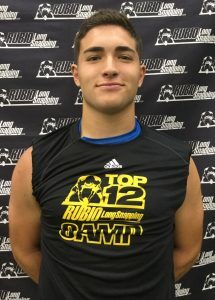 Rubio Long Snapping traveled to IL on July 13th, 2017 for their Summer camp. 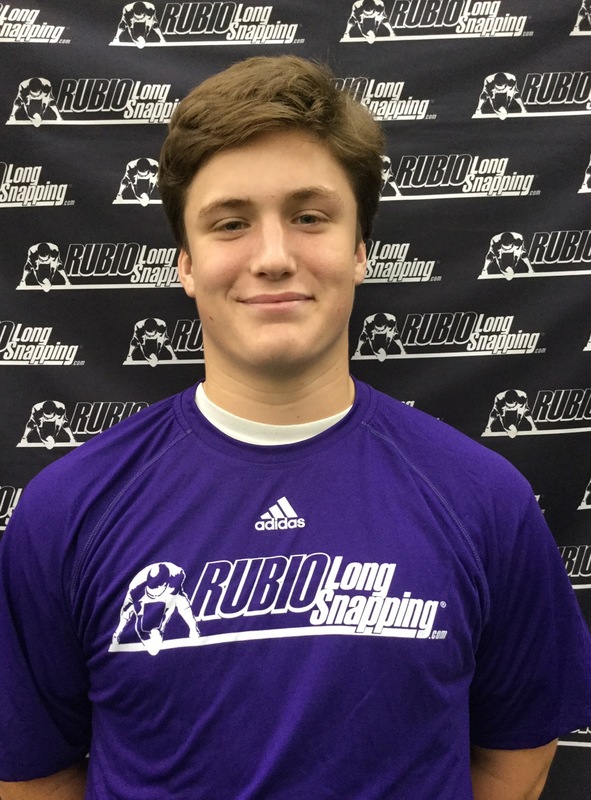 Rubio Long Snapping will be traveling the country this summer instructing Long Snappers and getting them all ready for the season and beyond! Long Snappers from IL, NE, MS, IA, OH, KS, LA, IN, MO, KY, OR & WI all traveled to this camp to get the best instruction and exposure in the world of long snapping. 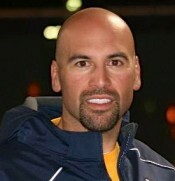 The overall champion of the camp was Jude Pedrozo. 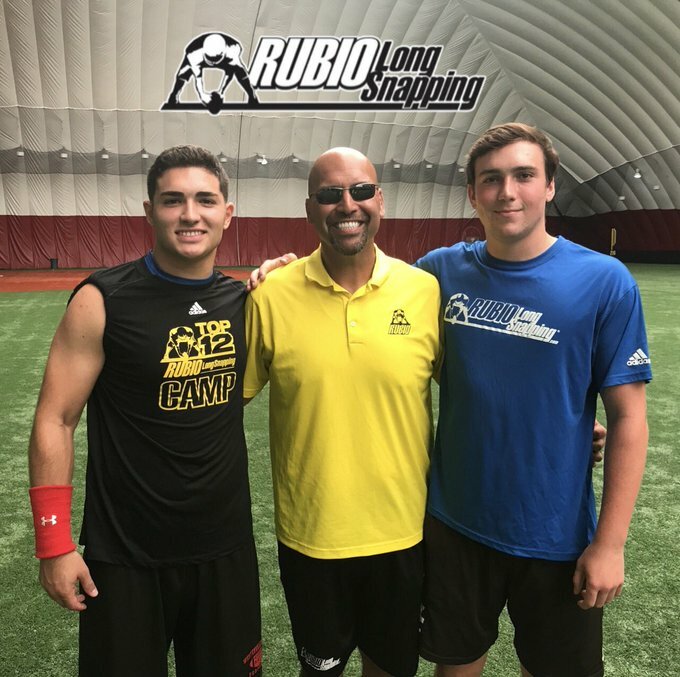 Jude is no stranger to winning at Rubio Long Snapping Camps as he is a former VEGAS winner and is always hovering around the finals. Very good body, great attitude and the ability to handle pressure really well make Jude one of the best in his class. Michael Vinson had a great day in IL. He has some good size, moves pretty darn well on his feet and can snap a nice ball that can hit in the low .7s. Listens well and is very coachable. Excellent attitude and Vinson is going to make his college coach really happy in the next couple of years. Ross Hinders throws some severe heat and flies down the field. No doubt he will be a factor on the punt coverage team. Ball is really powerful and his upside is off the charts. Derek Hahn out of Nebraska continues to improve greatly. He did really well in IL and made it all the way to the finals. He was only a couple of inches away from going very far into the finals brackets. Great attitude and always getting better. Levi McKinney showed great athleticism and can hover in the .7s. Really like his upside and attitude. Jude Pedrozo was excellent all day. His personality is off the charts and will be a leader on and off the field. Body is strong and he can snap a powerful ball. Accuracy and consistency are solid. Moves well on his feet. Great upside. 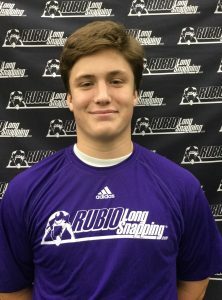 Patrick Szczesniak was only able to perform in half the camp due to prior commitment but left no doubt in half time time that he has the ability to be one of the top Long Snappers in his class. He should be very focused on the TOP 12 Camp next year. Brendan Beattie throws some severe heat and hovers in the low. 7s. His ball really powers back to the punter. He moves like a cheetah and will definitely be a factor on the punt coverage team. 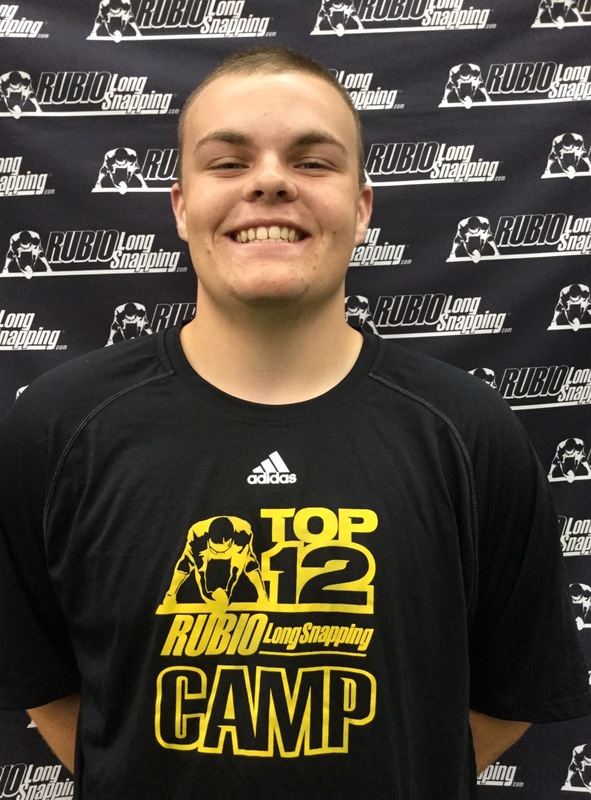 Brad George is one of the most consistent Long Snappers in his class. George snaps a really fast ball that is consistently in the mid to low .7s. Strong Long Snapper. Samuel Wiesbrook is tall drink of water with excellent footwork and great upside. Ball is accurate and very consistent. David O’Keefe showed tremendous upside and a smooth, consistent snap. The potential on this kid is off the charts. Ethan Warren is strong, athletic and consistent with his snapping. Michael Wojciechowski is very smooth, accurate and consistent Long Snapper that will just get better and better as he gets bigger and stronger. Nathan Tokar is really doing well in transforming his body and it is impacting his snapping in a great way. Tyler Shaw was very impressive in IL was great snap speeds and a strong frame. Great upside. Christo Kelly was excellent in IL. He has an excellent and athletic frame that moved very well all over the field. Ball is very quick for his age with times in the mid to low .7s. He has the ability to be one of the best in his class and should definitely focus on the TOP 12 Camp this January. Jackson Worthen has some of the best form in the country and is close to greatness. Very excited to see him lock down his consistency and continuing to grow. Quiet and he listens really well. 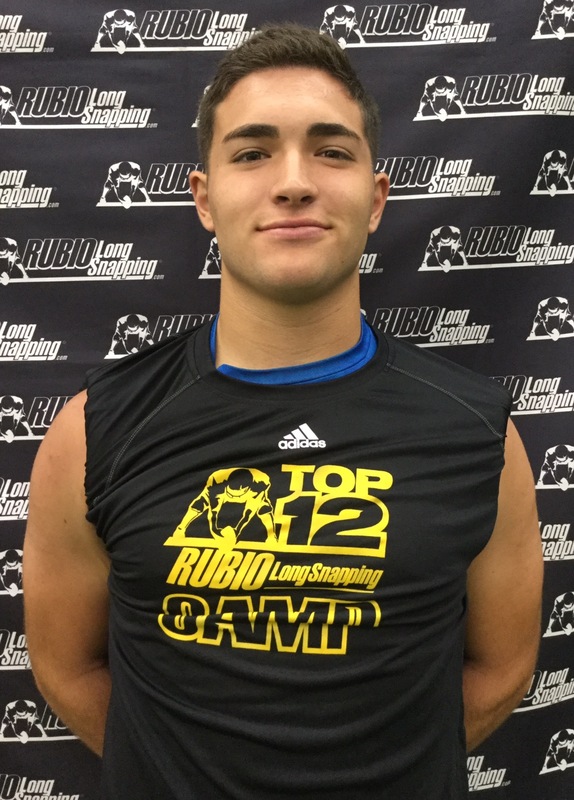 Robert McCrory is a big framed Long Snapper with quick hands that can get the ball in the low .8s. Zachary Pitsenberger was impressive in the way he handled pressure and moved on his feet. 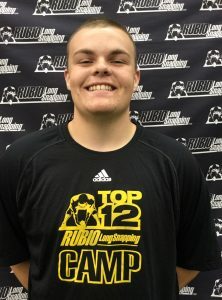 Jesse Smith was one of the most consistent Long Snappers in his class with accurate snaps in the mid to low .8s. Mick Bastuga has good form, a great attitude and a really smooth snap. Getting bigger and stronger along with really driving his upper body through will greatly increase his overall speed on the ball. Nick Walker is a 2021 Long Snapper that could probably start for most high school varsity teams right now. His ball is quick and he can get it into the .7s and he is just going into his freshman year! Sam Long is big, strong and moved really well on his feet.